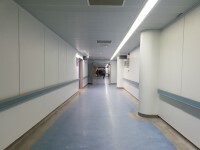 You are on Getting To (Neurofibromatosis Centre / Neurology Clinic (EMG)). Skip to the next section. 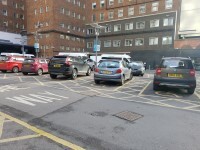 The Neurofibromatosis Centre / Neurology Clinic (EMG) is/are located on the first floor of the Southwark Wing. 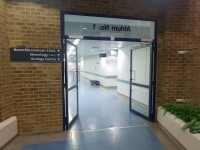 Access to the Neurofibromatosis Centre / Neurology Clinic (EMG) is via the main entrance. 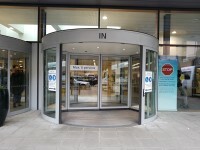 On entering the main entrance, proceed to the end of the main foyer, through the double doors and take a left. 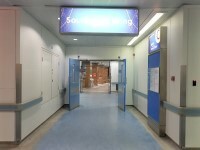 Continue down the main corridor and take a left into the Southwark Wing. 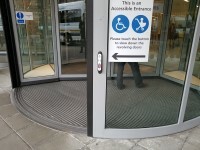 Take the lifts to the first floor and on exiting the lifts turn left. 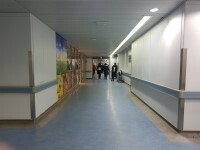 Proceed down the corridor and the Neurofibromatosis Centre / Neurology Clinic (EMG) is located on the right. 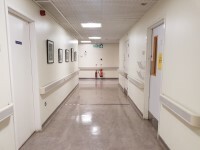 There is step free access, via lift, to the Neurofibromatosis Centre / Neurology Clinic (EMG). 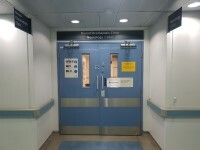 The Neurofibromatosis Centre / Neurology Clinic (EMG) is approximately 22m from the Southwark Wing lifts. 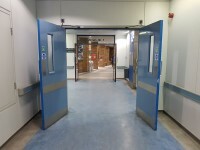 There is a/are manual, heavy, double door(s) between the Southwark Wing lifts and the department/service. 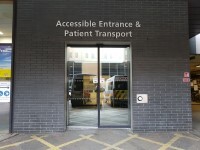 You are on Entrance (Southwark Wing). Skip to the next section. 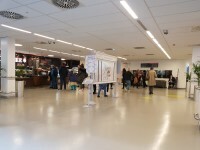 This information is for the entrance located on the ground floor main corridor. 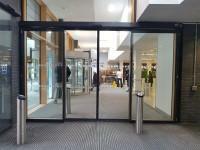 The width of the door opening is 171cm. You are on Other Floors (Southwark Wing). Skip to the next section. 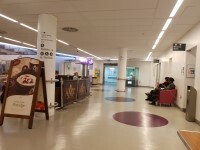 The floors which are accessible by stairs are LG,G,1,2,3,4,5. 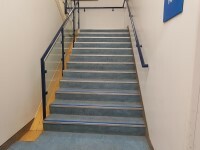 The stairs are located on the main corridor just outside the Southwark Wing entrance. 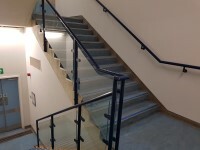 The stairs are approximately 8m from the Southwark Wing entrance. You are on Lift (Southwark Wing). Skip to the next section. 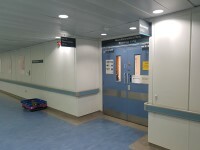 The lift is located to the left as you enter the Southwark Wing. 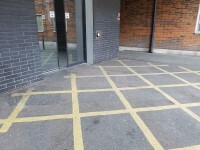 The lift is approximately 4m (4yd 1ft) from the Southwark Wing entrance. 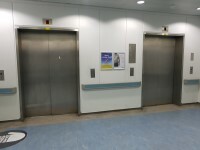 The floors which are accessible by this lift are LG,G,1,2,3,4,5. 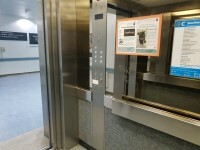 The dimensions of the lift are 177cm x 268cm (5ft 10in x 8ft 10in). 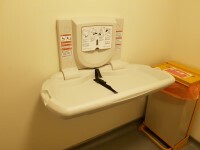 The controls are between 112cm - 128cm. 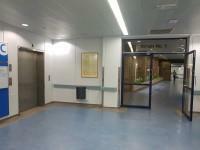 You are on Entrance (Neurofibromatosis Centre / Neurology Clinic (EMG)). Skip to the next section. 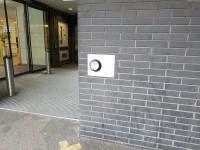 This information is for the entrance located on the first floor of the Southwark Wing. 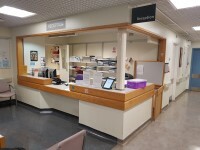 You are on Reception (Neurofibromatosis Centre / Neurology Clinic (EMG) reception). Skip to the next section. 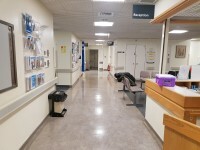 The Neurofibromatosis Centre / Neurology Clinic (EMG) reception is located to the right on entering the Neurofibromatosis Centre / Neurology Clinic (EMG) entrance. 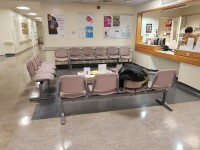 The reception area/desk is approximately 6m (6yd 1ft) from the Neurofibromatosis Centre / Neurology Clinic (EMG) entrance. There is not a low section of the desk (76cm or below) available. 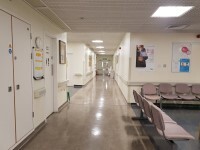 You are on Waiting Room / Area (Neurofibromatosis Centre / Neurology Clinic (EMG) waiting room). Skip to the next section. 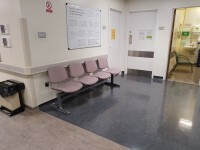 The waiting room / area is approximately 8m from the Neurofibromatosis Centre / Neurology Clinic (EMG) entrance. 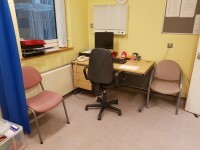 You are on Consultation / Treatment Room (Neurofibromatosis Clinical Room). Skip to the next section. The name / number of the room surveyed was; 2. 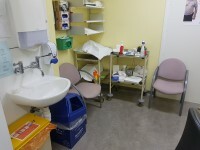 You are on Consultation / Treatment Room (Consultant Room). Skip to the next section. The name / number of the room surveyed was; 7. 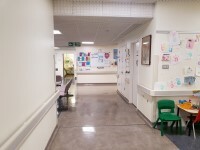 The consultation / treatment room is approximately 24m from the Neurofibromatosis Centre / Neurology Clinic (EMG) entrance. 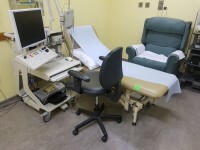 You are on Consultation / Treatment Room (EMG Clinic). Skip to the next section. 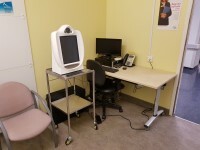 The name / number of the room surveyed was; EMG Clinic. 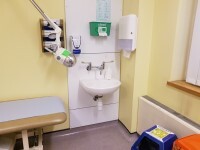 This accessible toilet is located opposite the Neurofibromatosis Centre / Neurology Clinic (EMG) waiting area. 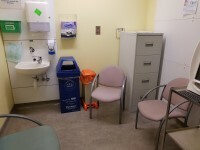 This accessible toilet is approximately 22m (24yd 2in) from the Neurofibromatosis Centre / Neurology Clinic (EMG) entrance. 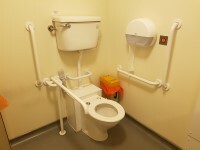 The dimensions of the accessible toilet are 179cm x 220cm (5ft 10in x 7ft 3in). The lateral transfer space is 121cm (3ft 12in). 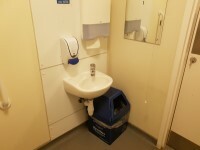 The height of the toilet roll holder is 113cm (3ft 8in). 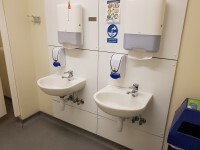 The height of the soap dispenser is 94cm. 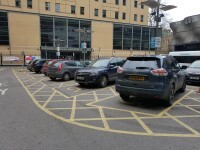 The female toilet facilities that were surveyed are located opposite the Neurofibromatosis Centre / Neurology Clinic (EMG) waiting area. 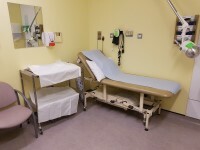 The female toilet(s) is/are approximately 13m (14yd 8in) from the Neurofibromatosis Centre / Neurology Clinic (EMG) entrance. 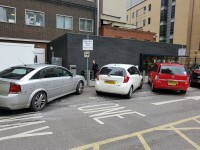 The male toilet facilities that were surveyed are located opposite the Neurofibromatosis Centre / Neurology Clinic (EMG) waiting area. 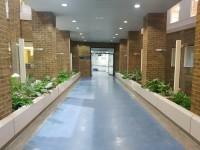 The male toilet(s) is/are approximately 13m (14yd 8in) from the Neurofibromatosis Centre / Neurology Clinic (EMG) entrance. Guy's Hospital - Main Building link (new tab) - click here.